Over the last few months, we have indicated the plans we are developing for a new pastoral centre here at Holy Cross – The Frassati Centre for Preaching and Evangelisation. This would seek to breathe new life into the original church buildings that we knew as the ‘Holy Cross Centre’. We’ve assembled £180k so far to develop these buildings, and we are seeking to embark on a major fundraising project as we look towards our bicentenary. There’ll be lots to talk about in the weeks ahead. Please come along to the events next weekend, 2nd March. 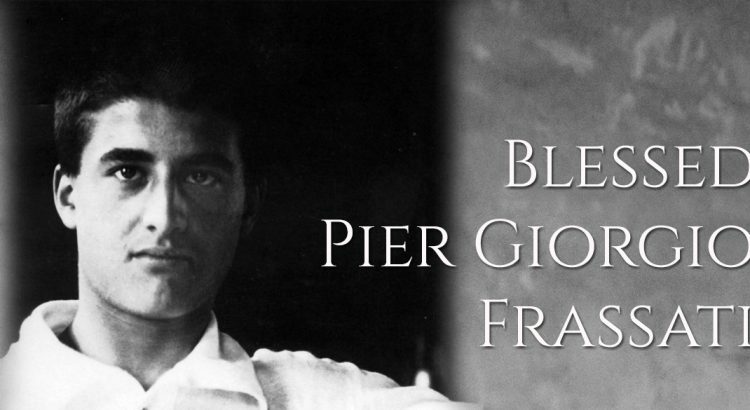 WHO IS BLESSED PIER GIORGIO FRASSATI? He’s the inspiration for our new initiative with developing our buildings and our apostolate, but who is he? He’s a lay Dominican, whose life was marked by living the Dominican Charism in his everyday life. He was deeply devoted to prayer and study, and he inspired great fellowship with his contemporaries, and devoted himself to the service of others, especially the most vulnerable members of the community. We look forward to getting to know him more closely as we develop our apostolate. IMAGE OF BLESSED PIER GIORGIO FRASSATI We want to foster devotion to this Dominican Beatus. At 10:30am Mass next Sunday, 3rd March 2019, Fr Robert Gay, prior of our community in Oxford, will bless an image, as we prepare to enshrine Blessed Frassati in our church. Please do come along.